Boka Chad Lyrics From IceCream Bengali Movie. The Song Is Sung By Arnob. Music Composed by Arafat Mohsin. 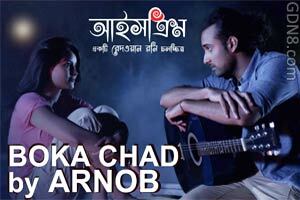 Boka Chand Song Lyrics In Bengali. Sung by Shayan Chowdhury Arnob. Starring By Razz, Tushi, Uday, ATM Shamsuzzaman, Parvin Sultana Diti, Omar Sani And Others. Story, Screenplay, Dialogue & Direction by Redoan Rony.